Narsimpalli has found a unique way to save money as well as teach practical skills to students. A tailor comes to campus to stitch the school uniforms. Students watch the tailor’s techniques for cutting and stitching the cloth. Then, he teaches some students how to hem the uniforms and sew buttons. 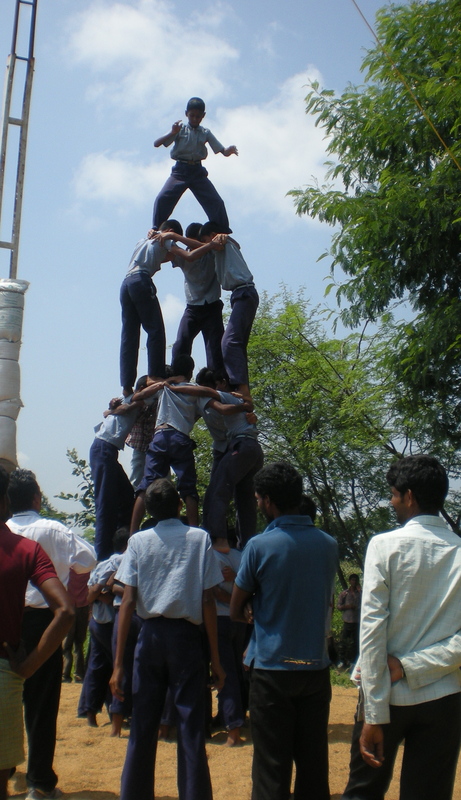 The school estimates the joint effort saves Narsimpalli Rs 5000. R.Ramcharan may only be 4-years-old, but he already is showing talent. Ramcharan plays the dappu, the traditional percussion instrument of Andhra Pradesh. Ramcharan has many talents. The child can also do yoga. At RDF Matendla, teachers are taking care of each other. The school has an innovative welfare and medical insurance fund that helps pay hospital bills when teachers or staff members are sick. 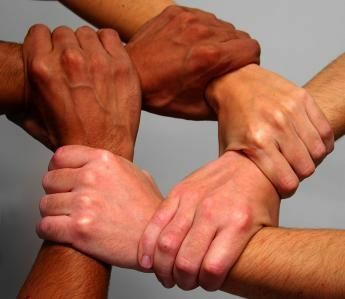 Each month, employees contribute Rs 30 into a communal fund. 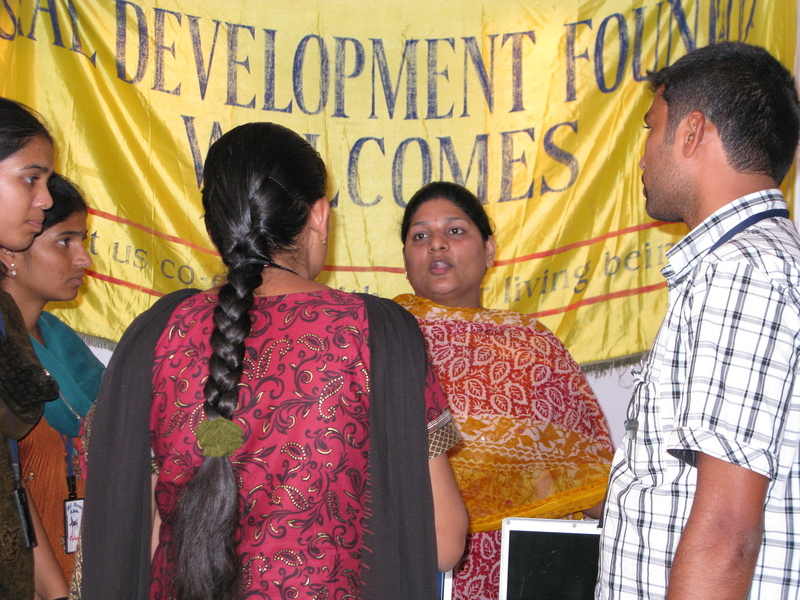 Since the program began in 2009, the fund has grown to Rs 17,000. If someone falls ill, the money will be used to pay 6 percent of the hospital bill. Headmaster Vishnu came up with the idea because he worried that his employees might not have anyone to help them if they fell ill. Today, 22 people contribute to the fund. 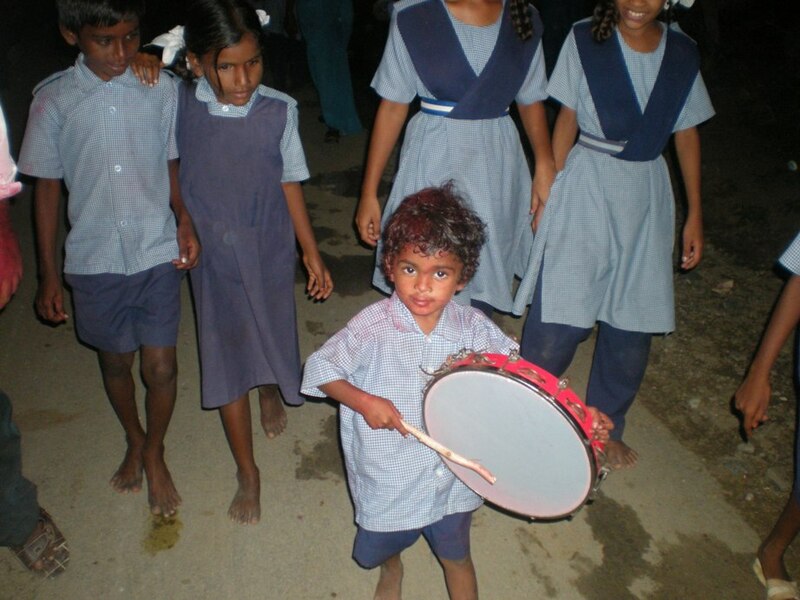 During Hindu festivals, the neighboring Kalleda Temple Trust hosts organizes for rural people of all ages. The events gather the villagers of the surrounding mandals to help boost camaraderie among the neighbors and safeguard the stability of Indian culture. In September, festivals of Sri Krishna Janmastami and Vinayaka Chaturdhi were celebrated at the RDF VAPV Junior College. 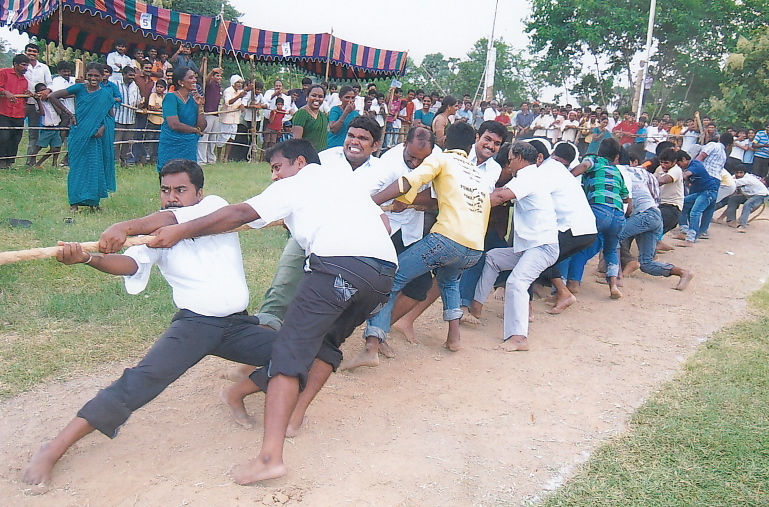 Staff and student volunteers helped the temple trust host games like Uttikottudu (human pyramid) and Thadu gunjudu (rope pulling). RDF participated in the Karmayog Seva Mela at the Zoroastrian Club in early October. 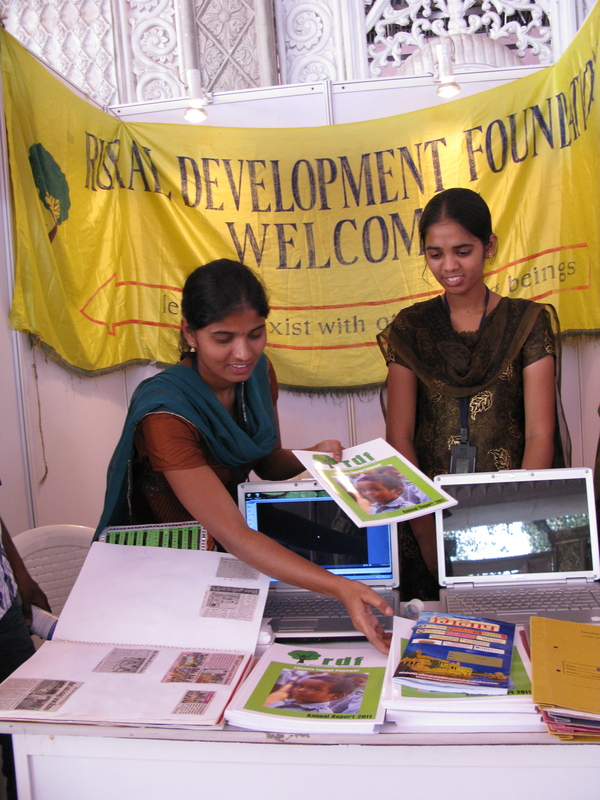 The event — during India’s “Joy of Giving Week” — brought together dozens of NGOs, which set up stalls to publicize their good works. Alumna Ishrath Fathima, who had attended Kalleda with the sponsorship of a donor and is now studying engineering, also told visitors about the values that RDF teaches, including the important role of women. “Mothers play a vital role in children’s education,” she said.